A port bow view of USS Gage (APA-168) wearing camouflage 32/4T taken from USS Adair (APA-91). 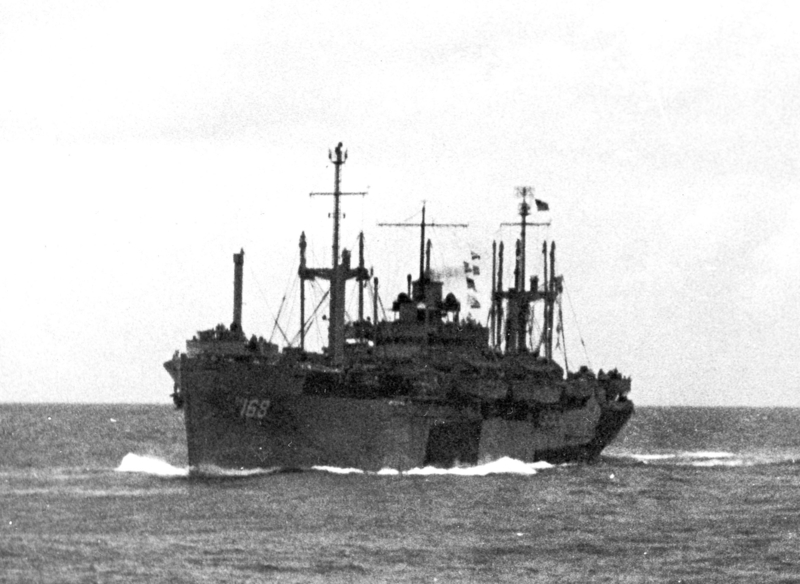 Both ships were on the way to the Okinawa landings, this photo is marked as having been received on April 17, 1945, but was probably taken earlier in April. The colors should be dull black, haze gray and light gray.